I thought I understood A-level Maths until I started teaching it. 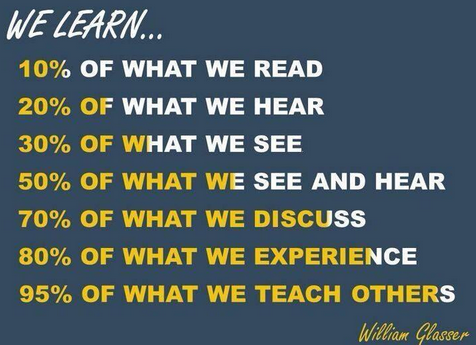 As @magicalmaths tweeted the other day, we learn some of what we see or read and rather more of what we discuss or experience for ourselves, but none of it compares to how well we learn by teaching others. If you’re looking for the ideal training course to equip you to teach A-level Maths, you need to go back to the A-level Maths classroom, but this time stand at the front. I was very proud of my own A-level results, but have become increasingly convinced that there is a yawning gulf between being able to get the best grade at A-level and being able to teach others to do so. 1. Grasp the key idea. 3. Answer more complex questions. 4. Interpret/analyse the general form of solutions. 5. Map out a path to the solution without having to solve the problem. 7. Identify the potential pitfalls for a problem. 8. Grasp the key idea that extends/generalises this one. 1. Understand how horizontal and vertical motion can be treated separately. 2. Calculate horizontal range from a given initial speed and angle. 3. Calculate the possible launch angles for a given speed, horizontal range and initial vertical height. 4. Explain qualitatively why doubling the speed quadruples the horizontal range, and why 45 degrees gives the maximum range. 5. Predict the quadratic equation from vertical motion, the linear one from horizontal motion and how the key variable (time) connects the two. 6. Accurateley estimate the speed of a bullet / arrow / cricket ball and form a question with enough unknowns (but not too many). 7. Warn students to look out for negative displacement vertically, remind them that the initial velocity is not a force and therefore horizontal speed doesn’t change. 8. Describe the modifications necessary to our model should we choose to take into account air resistance. 1. Recognise how the sin(A+B) or cos(A+B) formulae can be rearranged to get a single function. 2. Solve questions where you’re told whether it’s sin or cos, and whether it’s + or -. 3. Rearrange and simplify trig equations in a variety of forms to get a single trig function in the equation. 4. Describe how the Rcos(x+a) format relates to the original functions through graphical transformations. 5. Consider the signs of the sin and cos components to determine whether you need Rcos(x+a), Rcos(x-a), Rsin(x+a) or Rsin(x-a), and what happens if you choose the ‘wrong’ one. 6. Show how interference of two waves simply generates another wave, each wave being a transformed trig function. 7. Remind students that, depending on their choice of function, the primary solution for the angle may not be the correct one, and how to find the right one. 8. Consider how graphs of functions may be modified in other ways than adding. Does multiplying two trig functions give a trig function? Are there similar patterns for tan(x)? In the last few weeks I’ve had some moments where I’ve glanced at a student’s work and leapt straight in at point 7 identifying their misconception with almost uncanny accuracy in seconds. But I’ve also jumped to point 6 in class without realising my understanding was still at a 3, wasting 45 minutes of lesson time getting things wrong on the board. If you’ve only just begun to teach A-level, don’t be put off by how well another teacher may seem to understand a topic. It’ll come; you just have to be prepared to get stuck in and teach it for a bit first! I have an ever-increasing list of topics I want to ‘really get my head around’, but in the meantime, knowing my limitations enables me to plan properly and get support from more experienced teachers when I know I need it.